Business competitiveness is at the heart of a thriving industry. When the competition is fierce, it often becomes a race between businesses to gain control of more market share than the competition. 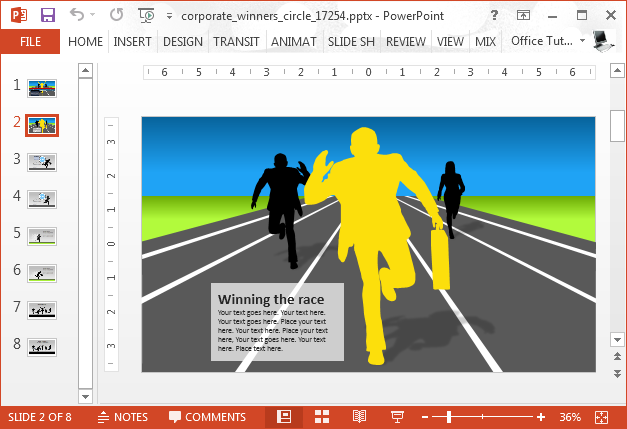 Corporate Winners Circle is a competition themed template which can be used to depict this dilemma. 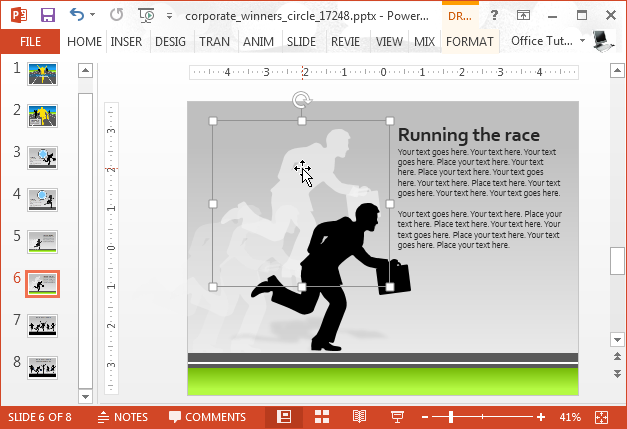 This animated business competition PowerPoint template provides animated slides with illustrations of silhouettes of men and women dressed in formal attire, taking part in a race. 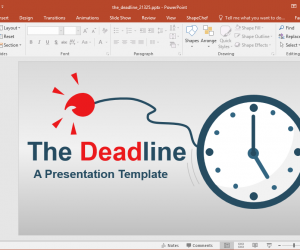 You can use this template to depict business competition, competitiveness between employees at the workplace and topics like success, career and motivation. 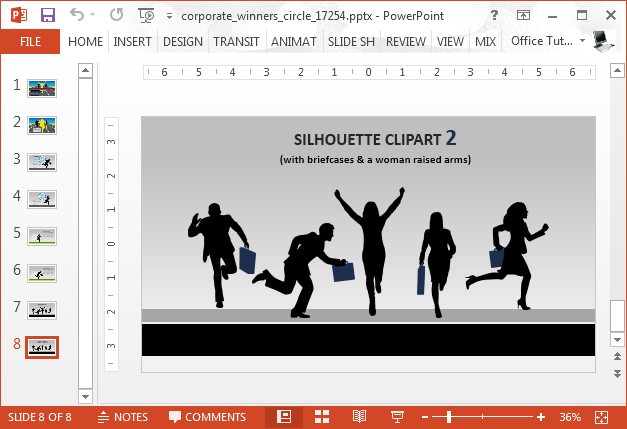 The business themed silhouettes depict both men and women in different settings. 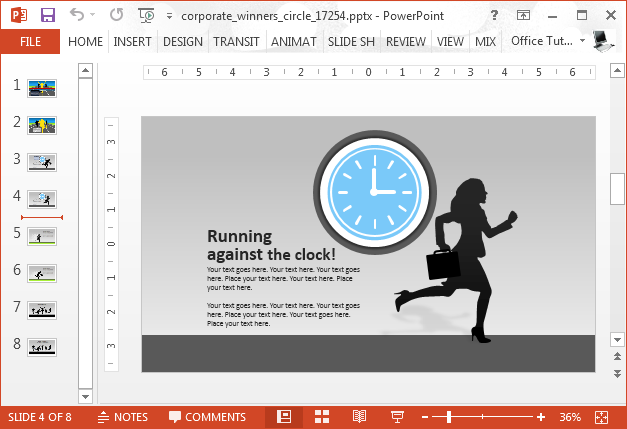 Many of the slides come with a clock illustration to signify the importance of time in competition. 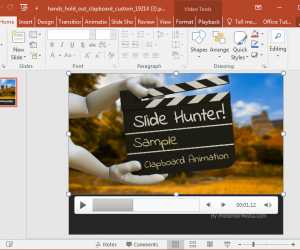 Since the slides are customizable, you can add or remove entire slide objects. 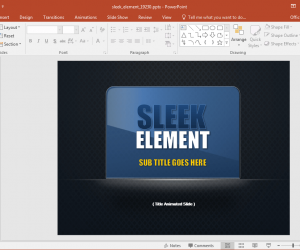 However, you should preview your slides in Slide Show mode to make sure that there are no discrepancies due to the default animations tied to revealing objects within slides. 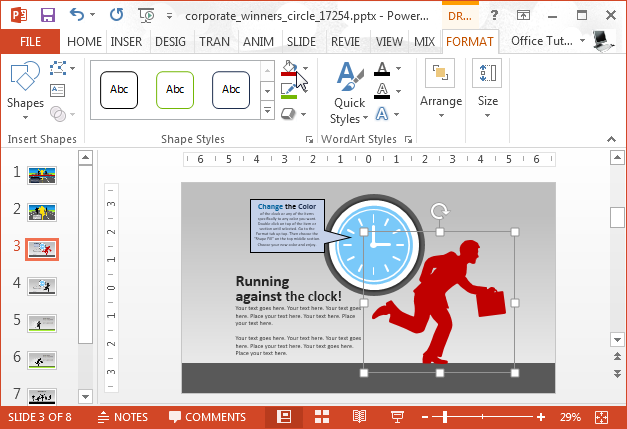 There are tooltips in slides to help you edit the customizable backgrounds and silhouettes. 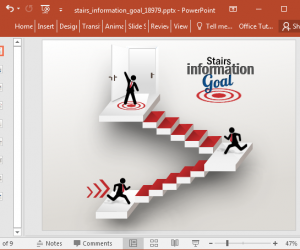 You can use various basic options from the PowerPoint Ribbon menu to change the color and overall appearance of default slide objects. 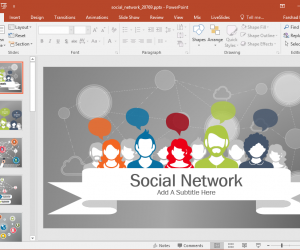 There are two slides with exclusive silhouettes for you to use across your presentation. These slides are identical, with the difference being that one of the slides depict the same characters holding a brief case. 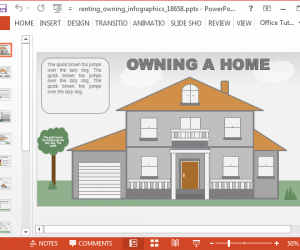 In case you are interested in some flashy animations and HD video backgrounds to knock out the competition, you might like our list of Animated Competition PowerPoint Templates.